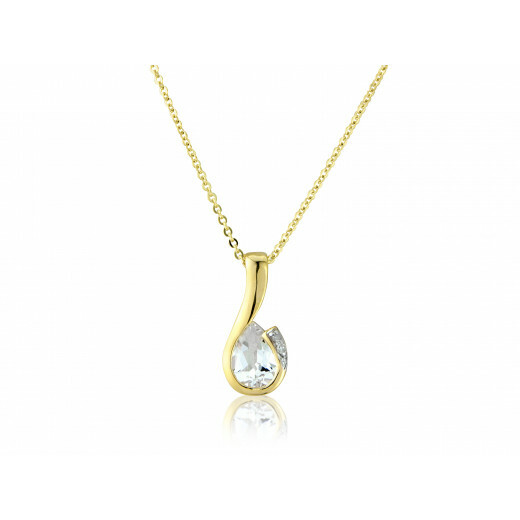 9ct Yellow Gold Diamond and White Topaz Pendant on a trace chain. 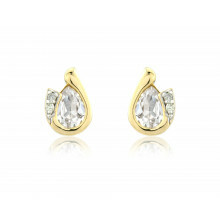 The birthstone for April is in fact Diamond and we all know that a diamond is a girls best friend but this 7x5mm stunning Topaz does just the trick too. Easy on the pennies it too gleams flawlessly!The pendant comes with a delicate trace chain which has a length of 16" which is extendable to 18" with bolt and jump ring clasps. 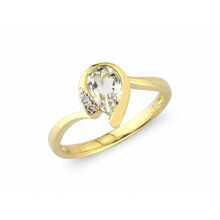 Topaz still not your thing not a problem, view our fabulous Diamond collection.